One of the end results of the six-day LAUSD teacher strike was to designate 20 community schools by June 30, 2019. These schools would include more school funding to hire a UTLA staff to coordinate more community involvement. Miguel Contreras Learning Complex is a school located in downtown Los Angeles. It holds four Small Learning Communities: Los Angeles School of Global Studies, The Academic Leadership Community, Business and Tourism, and Social Justice, all of which are all focused on helping the community. Community schools not only focus on leading the community to a better future but also to develop stronger families and healthier communities. 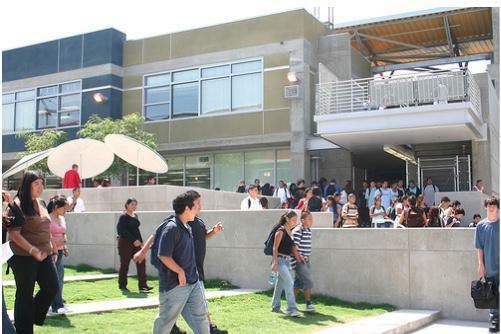 The Miguel Contreras Learning Complex had progressed on accomplishing the Community School Model by lowering rates of absenteeism, encourage better work habits, grades, and test scores, higher enrollment in college preparatory classes, and increase graduation rates. The school has partnered up with different community resources including Youth Policy Institute, City Year, World Fit for Kids, all of which all focus on building a strong and health community. The school is also working on bringing a Dream Center to the campus, which will focus on helping undocumented and immigrant families with different resources; as well as a health clinic that will help support students and families with medical services. As a student in a low-income community, the resources offered at Miguel Contreras Learning Complex not only do they benefit us students, but also our families. These resources help our families persevere when household situations get difficult. The National Education Association’s six pillars to becoming a community school are: Strong and Proven Curriculum, High Quality Teaching, Inclusive Leadership, Positive Behavior Practices, Family and Community Partnerships, and Community Support Services. By striving to achive these pillars, Miguel Contreras Learning Complex is a step closer to becoming a community school to serve as a resource to its community.